Displaying photos of your tour or activity is a great way of generating interest from prospective customers. If what you’re offering is absolutely fantastic, but you don’t have any images to convey that on your tour or activity website, then you run the risk of losing customers to someone else who does, even though their experience isn’t as fantastic as yours is. Here are some tips drawn from walking tours on what kind of images you should be using, as well as how to arrange them on your website. Put your image ‘above the fold’ – by that, we mean don’t force them to scroll down to see it. You need to make your website ‘sticky‘. People are so lazy that they won’t scroll down if something doesn’t catch their eye on the page. You have a few seconds to grab their attention, and images speak much louder than words. Be careful not to overload a page with photos. One or more prominent images is more powerful than lots of little images. To get the best of both worlds, use transitioning slides. Make sure your prospective customers have somewhere to go and browse photos quickly – and, that there’s a clear path to making a booking with you from that place. 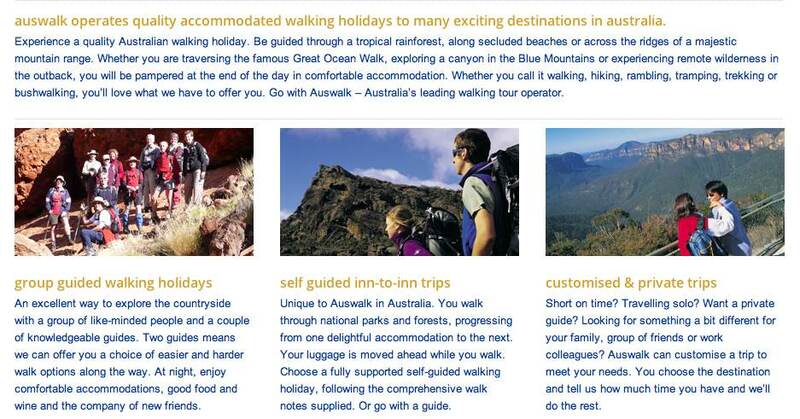 In the tour or activity sector, imagery is a website must-have. After all, why should prospective customers give your experience a shot when you aren’t even showing them what to expect? 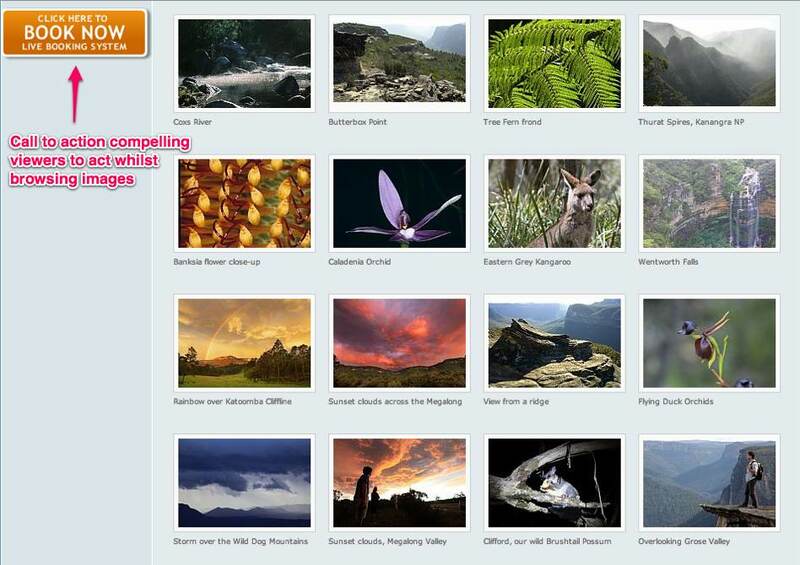 How do you use photos on your website? Where do you put them? Let us know in the comments section below.